In the State of Madhya Pradesh, India there are many places to visit. 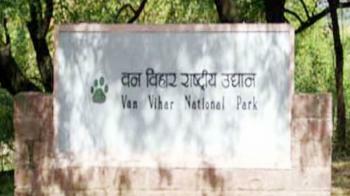 Van Vihar National Park is one of them. This park is located in Bhopal. Van Vihar lies on a hill near the Upper Lake. This park covers an area of 4.45 sq. km. The park was established in the year of 1979 and declared as national park in 18 Feb. 1983. Many visitors come in this national in every year. This park is home to rich Biodiversity. There are different species of flora and fauna present in this park. There are 200 species of birds, 60 species of butterfly in this park. The national park is good for Nature Lovers, Experience Seekers and Photo Fanatics. There are many attractions in the park. The major attraction of the park is Albino Sloth bear and the White tiger. The ideal duration of this place is 2-3 hours. In the state of Madhya Pradesh, India there are many places to visit. Madhav National Park is one of them. It is situated in the Shivapuri district of Gwalior. This park covers an area of 354 sq. km. There are many attractions in this park. the major attraction of the park is Migratory Birds. The ideal duration of this place is 2-5 hours. This park is best for Nature Lovers, Photo Fanatics, Experience Seekers. There are different species of flora and fauna in this park. The park was established in the year of 1959. Park was named after Madho Rao Scindia, the Maharaja of Gwalior belonging to the Scindia dynasty of the Marathas. The park offers amazing views of lush greenery and architectural wonders. There are two lakes in this park. 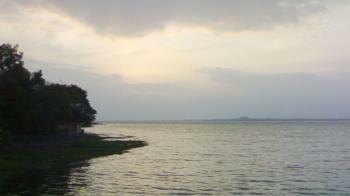 These lakes are Sakhya and Madhav Sagar. All around the lake, the Maharaja constructed boat landing areas, picnic shelters, watch towers, hides etc. 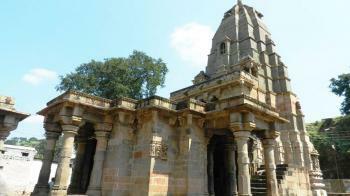 There are many places to visit in the Madhya Pradesh. Satpura National Park is one of them. It is known as one of the pristine jungles of the country. It located in district Hoshangabad. It covers an area of 524 sq. km. This national park was established in the year of 1981. The altitude ranges from 300 mt to 1352 mt. There are many attractions in this national park the major attractions are Black Buck, Leopard, Wild Dogs, Indian Bison, Malabar Giant Squirrel, Crocodiles and different species of flora and fauna's are found. This national park is best for nature lovers. Park is open for visitors from 16-October to 30-June. 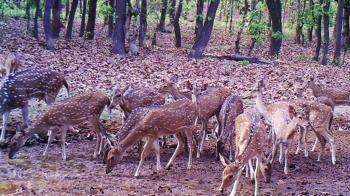 Satpura National Park gets the name from Satpura hill ranges. In the district of Madhya Pradesh, India there are many number of national park. Sanjay National Park is one of them. It is also a part of Sanjay Dubri Tiger Reserve. 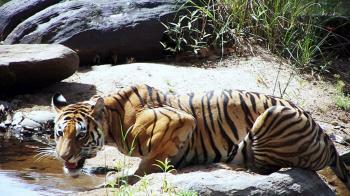 Sanjay-Dubri Tiger Reserve comprises the Sanjay National Park and the Dubri Wildlife Sanctuary. It is located in the Sidhi district. This national park covers the area 466.7 sq. km. This park was established in the year of 1981. In this park include the number of activities such as bird watching, swimming, boating, nature walk etc. There are many types of attractions in this national park. 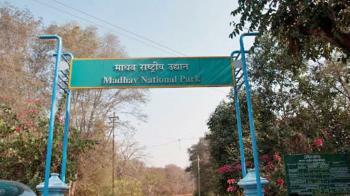 Sanjay National Park is one of the most popular wildlife destinations in Madhya Pradesh. The ideal duration of this place is 1 day. This park is best for Nature Lovers. 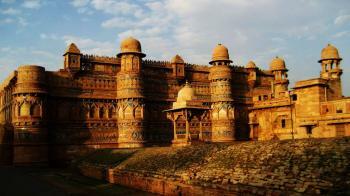 Gwalior Fort is situated near gwalior, Madhya Pradesh, central India. It is an 8th century hill fort. The fort has two main places which were built by Man Singh Tomar. These places are Gujari Mahal and Man Mandir. The fort also consist of defensive structure. Numbers of different rulers ruled over the fort. The Gujari Mahal eas built for queen Mrignayani and is now an archaeological museum. In this temple the oldest record of "ZERO" was found. The fort is built on an outcrop of Vindhyan sandstone on a solitary rocky hill called Gopachal. This feature is long, thin, and steep. From the twelve Jyotirlinga of Lord Shiva, Mahakaleshwar Jyotirlinga is the one of them which is situated in the ujjain city in state of Madhya Pradesh. It is supposed to be the most sacred abodes of Lord Shiva. The temple is located on the sides of the Rudra sagar lake. The deity is in the form of lingam is believed to be Swayambhu, deriving currents of power from within itself as against the other images and lingams that are ritually established and invested with mantra-shakti. Omkareshwar is one of the 12 jyotirlinga of Lord Shiva situated in Khandwa district of Madhya Pradesh, India. Omkareshwar is formed by the sacred river Narmada. 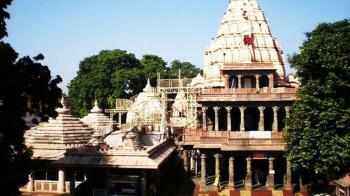 The temple is Mandhata island on Narmada river and the shape of the island is said to be like the Hindu ॐ symbol. There are two main temple of Lord Shiva : One is Omkareshwar - whose name means "Lord of Omkaara or the Lord of the Om Sound. Second is Amareshwar - whose name means "Immortal lord" or "lord of the Immortals or Devas"
In the state of Madhya Pradesh, India there are many tourist spots and temples to visit. Kandariya Mahadeva Temple is one of them. This temple is located in the village Khajuraho. This village is located in Chhatarpur district. There are many temples to visit in Khajuraho. Kandariya Mahadeva Temple is Hindu temple. 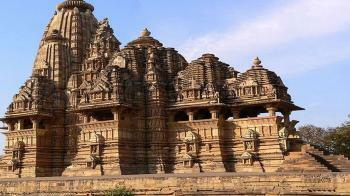 Kandariya Mahadeva Temple is largest and tallest temple in the Khajuraho. The temple spread over the area of 6 sq. km. This is very famous temple. the ideal duration is 1 day. Prasad is available for devotees from 12 Noon to 2 P.M. There are many festivals are celebrated in this temple. Khajuraho Dance Festival is very famous festival of this temple. This festival is organised in the month of February. Mahashivratri is also famous festival of this temple. Some other festivals are Holi, Dussera, and Diwali. In the state of Madhya Pradesh, India there are many tourist places to visit. Bhedaghat is one of them. This town is located in the Jabalpur district. The ideal duration of this place is 1 day. There are many attractions in this city. 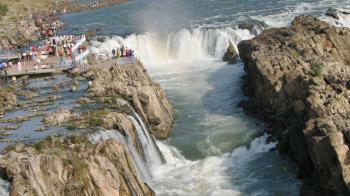 The major attraction is Dhaundhar Falls. This waterfall looks like the smoke coming from the river. Another major attraction of Bhedaghat is Bandar Kodini. This place is tag by Rivers and Lakes. The official language of this place is Hindi. This city is situated by the side of river Narmada. There are many festivals are celebrated in this place. The popular festival is Sharad Purnima festival. This place is popular for Narmada Mahotsava which is held on full-moon night in Sharad Purnima. There are many things for visitors in this place. Some activities are boat-ride amidst of natural marble rocks, doing photography, rope-way ride, ancient temples visit, scenic view of water fall. In the district of Madhya Pradesh, India there are many number of national park. 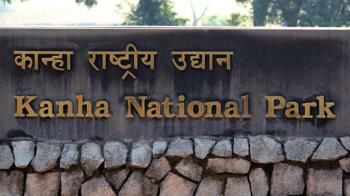 Pench National Park is one of them. This national park is located in Seoni and Chhindwara. This national park is established in 1983. 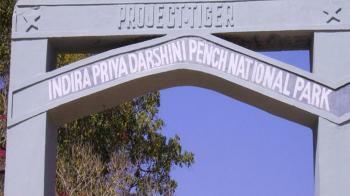 This park was established as tiger reserve. This park covers the total area of 757 sq. km. There are many number of animals and birds in this national park. Approx. 1200 species of plants are in this national park. The area has always been rich in wildlife. There is also a safari jeep inside the national park. 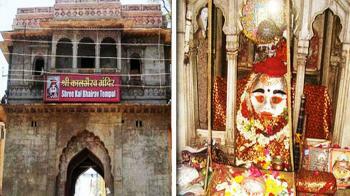 Kal Bhairav Temple is the hindu temple located on the Shipra river in Ujjain city of Madhya Pradesh state. The temple is dedicated to the guardian deity of the city known as Kal Bhairav. It is one of the most active temples in the city, visited by hundreds of devotees daily. Liquor is one of the offerings made to the temple deity.